Recently New Horizons Technology, and Media Arts program (TMA) made Movies That Matter as part of the 2nd Annual Mitchell Englander’s Making Movies that Matter (MMTM) and Short Film Festival! This Summer, throughout the month of August, New Horizons invites you to watch the films made by New Horizons consumers on YouTube. 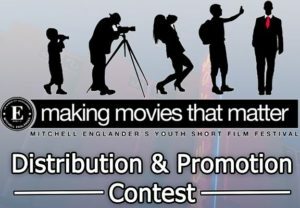 We challenge you to share our films with everyone you know — because the more views we get, the greater chance we have at becoming the winners of the “Making Movies That Matter” Distribution and Promotion Contest. We know we’ve accomplished a lot by making our films. With your help we look forward to added thrill of you sharing our stories with your family, friends, neighbors, and co-workers, and having the opportunity to win a special prize!! The winning films are determined by the number of views they receive on YouTube! For your convenience you can watch our films below — again and again!! In its second year, the intent of MMTM has always been to inspire issues and topics that manifest themselves in films that touch people. The funding for this special program has been secured by Councilmember Mitchell Englander’s office and directed towards CD12 schools, recognizing that arts education is a wonderful avenue for augmenting curriculum. 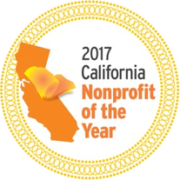 Because New Horizons believes in the talent our participants have shown in our very own Achievement Center’s Technology and Media Arts (TMA) program, we were excited to be included among MMTM’s 32 entrants during the Spring of 2017. And we won the Community Spirit Award!